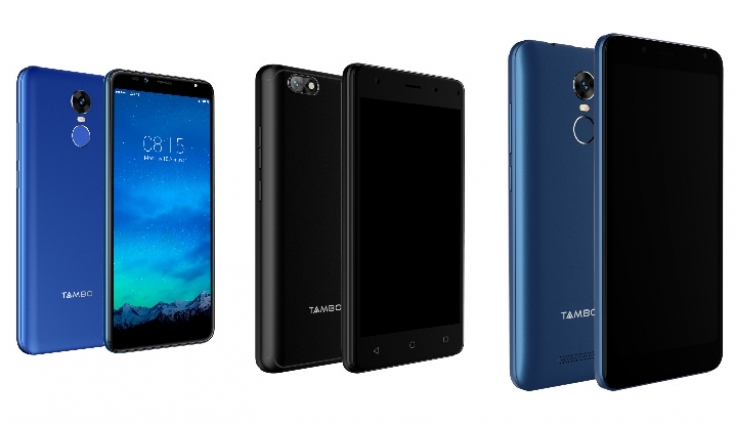 Tambo Mobiles today released three smartphones and six feature phones in India which they call, “Superphones” and “Powerphones.” This brand has come to the Indian market to compete with already established brands like Xiaomi. Tambo categorizes its smartphones as Superphones and the feature phones as Powerphones. The brand introduced six feature phones and three smartphones. The Superphones and Powerphones from Tambo ranges from Rs 600 to Rs 7000. Coming to the smartphones, the company launched the smartphones with Infinity display which come with up to 5.45 inches in size. The smartphones are; Tambo TA 2, TA 3 and TA 4; the smartphones are backed by a 3000 mAh big battery and powered by a 1.25 GHz quad-core MediaTek processor. The processor is backed up by 16GB ROM and 2GB RAM. The storage is expandable via microSD card slot. The three smartphones come with an 8MP camera with LED flash and a Samsung sensor. The front-facing camera is a 5MP shooter for selfies and video calling. The camera comes with Face beauty, burst mode, panorama mode, and stickers. All the smartphones also come with a fingerprint sensor and OTG support. Tambo’s Powerphones, which actually feature phones, these feature phones come with dedicated music keys and time talker. It comes with 60 days of battery backup, 22 language support which makes it suitable for the Indian users. The Tambo Superphones and Powerphones will be available with all retailers across India. These smartphones are getting into the straight competition with previously established budget smartphone brands like Xiaomi, Lava, Intex and more, let’s see how these Tambo smartphones fare against the competition.